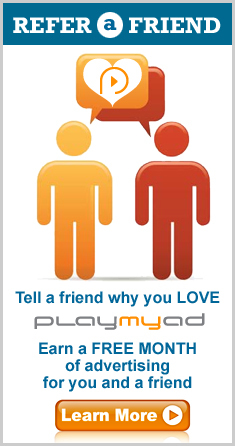 The PlayMyAd AdGenerator helps you generate results from your advertising by helping us to create a commercial for your business. It is a 7-step process that will help us laser-focus on the key elements of your business and it is a one-of-its kind tool that does not exist anywhere else in the industry. Browse the video library by industry to which advertising style you would like for your commercial. The AdGenerator video library has more than 50 beautiful templates and growing. Who knew that location based TV adverting would make your business look this good? You want to say something that is going to speak directly to your targeted audience. The AdGenerator helps you prioritize your messages, so that only the most important information makes it onto the screen and/or into the voiceover. The call-to-action is the great deal that the potential client will receive if they call your business, stop by, or visit your website. This is what motivates them to take to action. 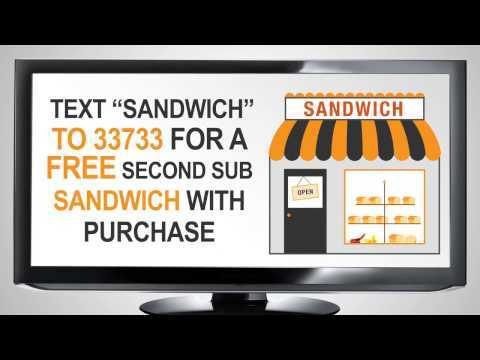 This is what can make location based TV advertising more effective than traditional television. Don't know what makes a great promotion? 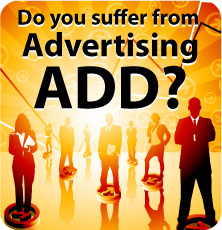 The AdGenerator has over 100 incentive ideas to make your commercial more enticing to potential customers. After completing the 7-step process, the PlayMyAd creative team will have all the essential ingredients to generate an amazing commercial for your business.